It is a world wide treasure hunt. 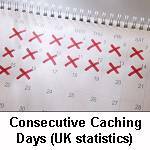 'Caches' are hidden all over the place - in the UK you are rarely more than a mile from one. Their latitude and longitude are published on the geocaching website. You then use your GPS device to go to that location - typically accurate to about 10m - and you search for a small container. 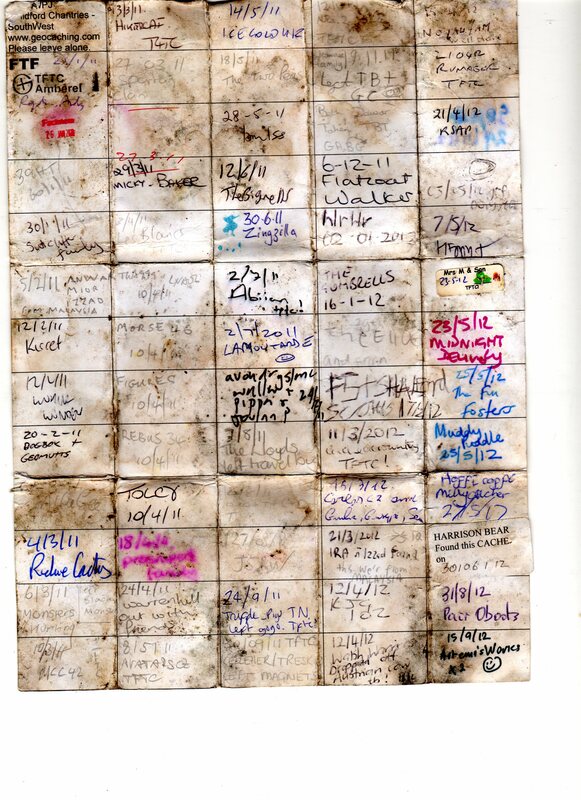 When you find it, you sign the log book inside and when you get home you visit the website and register your find. The cache will not be hidden on land that you aren't allowed on. Finding the cache will not involve damaging anything - EG if the container is hidden in an ivy covered tree, then don't pull all the ivy off whilst looking for it. Nowadays, most caches are very small (35mm film canister or smaller) that just contain a log book. Lots however are a little bigger - say ice cream tub sized - and have a log book and 'treasure'. You may choose a treasure to take away from the cache if you put another treasure in. Most treasures are inexpensive items - I've placed key ring torches, a tennis ball, padlocks, crayon sets and many other things. The treasures I've kept have included a small plastic nodding moose, a lego person, a clockwork dinosaur and a purple frog. The are many more variations to the basic theme - caches with puzzles, treasures that attempt to travel from cache to cache to get somewhere, etc. For full details, see the Groundspeak geocaching website. Some of the caches that I have hidden have an encoded commentary in them. If you have the passphrase, coder will decode them for you. Some visiting cards left by finders, and some more. 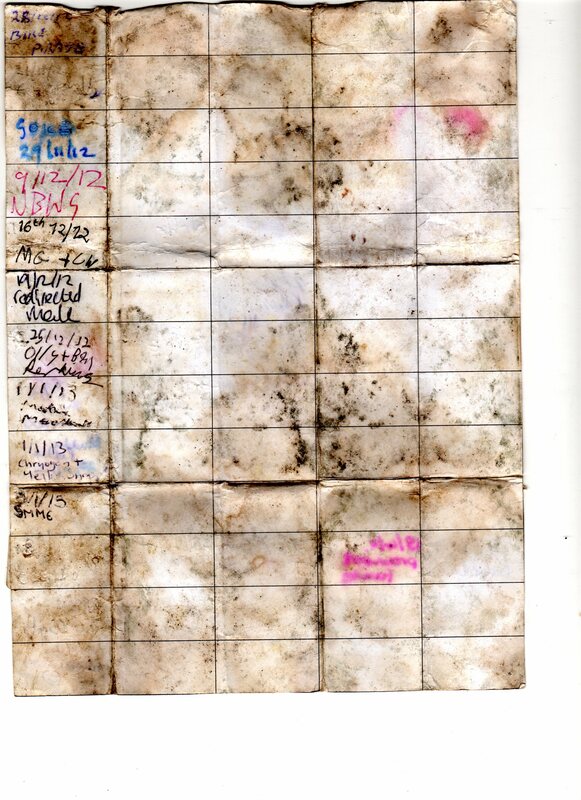 A dried out scan of the original log side 1 and side 2. 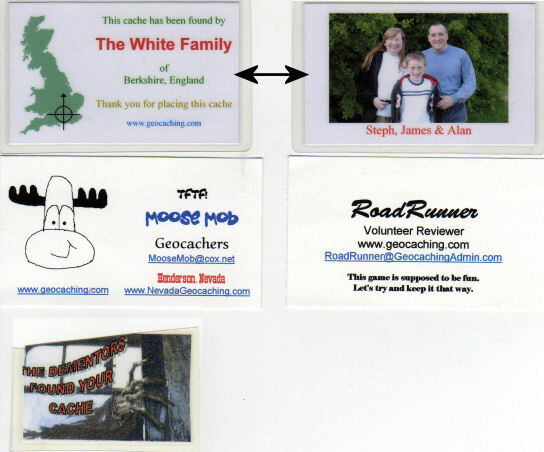 A top secret one, but less so since the spring 2011 geocaching website revamp. 8-) The Lesser Date Challenge. Guided by the Penguin (mk2). A challenge of your own. All published in 2015 and adopted by me at the end of 2017. East Grinstead TB Hotel (Mark 2). Church Micro 1777 - Bishop's Sutton - St Nicholas. Off Yer Trolley - Guildford North. Joint with mashworth. Suggestion Box. On the same day as Red October. Red Nine returns to Cranleigh. CSW #14 Cranleigh South Walk. The Great Date Challenge (29th). One of 30 FTFs on this cache! A fine pair #44 ~ Ockley. Church Micro 3323…Guildford - URC. Church Micro 1134...Stopham. Joint with SophieBrown. SideTracked - Box Hill and Westhumble. Oink. On the same day as SideTracked - Box Hill and Westhumble. Church Micro 5667...Wraysbury - St Andrew. Back to Nature Series� Creapy Crawley. Fragments of the Night. Joint with RichieCactus and Hofficoffi. Church Micro 7112...Artington St Catherines. Church Micro 7157...Guildford - Bethel Chapel. 4 E to C and back again. Joint with Lamoutarde. On the same day as CM7157. 8 E to C and back again. 23 E to C and back again. 22 E to C and back again. 21 E to C and back again. 20 E to C and back again. 17 E to C and back again. Joint with Lamoutarde. On the same day as 23, 22, 21 & 20 E to C.
G - Grafham - Surrey A-Z. Home to Roost. Joint with C*J*L and SophieBrown. On the way to the Green. Captain Redbeard's Treasure. Joint with C*J*L and SophieBrown. Diggy's Heroes No 3. (NJT's 50 #29). Church Micro 1544...Fetcham-Cannon Court. Joint with Hofficoffi. Geo Event Puzzle. 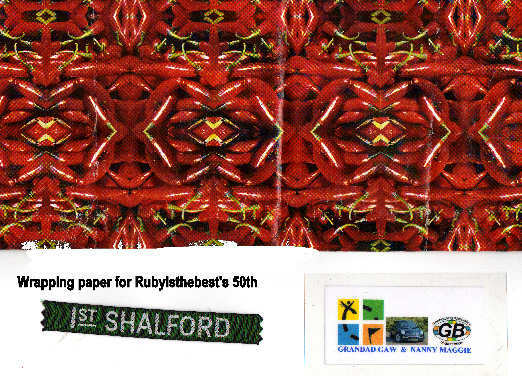 Joint with several Sussex Cachers. Stoke Park: The 7 Wonders of Guildford. CSW #13 v2 Cranleigh South Walk. Joint with Goosegirl. CSW #14 v2 Cranleigh South Walk. Joint with Goosegirl. CSW #12 v2 Cranleigh South Walk. Joint with Goosegirl. Same day as CSW# 13 & 14. SideTracked - Exeter Central Station. A troll left me here. 079 A Fine Pair # 19 ~ Oakwood Hill. 5 caches around milford *1/rodborough common. Village Hall Series #110 - Holybourne. NEW Junipers and Boxhill 20. Line of Sight to Stokenchurch (Two words in greek).